﻿ News Bharati - Amchi Mumbai.. one of the truly MODIfied city..! News Bharati - Amchi Mumbai.. one of the truly MODIfied city..! Mumbai, February 11: The dream city, the financial capital, the commercial and the entertainment spot of the nation..! 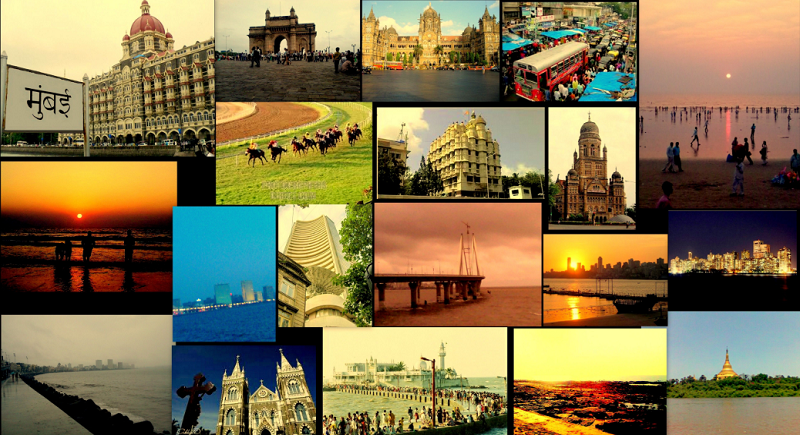 Yess, its Mumbai..! After India’s independence, the following decades saw massive expansion of the city and its suburbs. But it is factually in the last four years that the city has progressed to the level extent. Voicing the passage of the state capital ahead, state minister Sudhir Mungantiwar uttered the city’s development in the faster pace and defined the city as one of the truly Modi-fied place. Mumbai is one such city that is scaling new endeavours in terms of infrastructural development with the help of aspiring projects that Abe in the process of being delivered in the near future. “Change is the new constant and the city is all set to make a transformation in terms of mobility, with projects ranging from and underground metro and a sea bridge, to coastal roads, a new airport and suburban trains”, he expressed using the social handle. Citing some of the major developments underway, the city is set to reach the new and higher altitudes. The Mumbai Trans Harbour Link also known as the Sewri-Nhava Sheva Trans Harbour Link, is an under-construction 21.8 km, freeway grade road bridge connecting the Indian city of Mumbai with Navi Mumbai, its satellite city. When completed, it would be the longest sea bridge in India. The bridge will begin in Sewri, South Mumbai and cross Thane Creek north of Elephanta Island and will terminate at Chirle village, near Nhava Sheva. The road will be linked to the Mumbai Pune Expressway in the east, and to the proposed Western Freeway in the west. The sea link will contain a 6 lane highway, which will be 27 meters in width, in addition to two emergency exit lanes, edge strip and crash barrier. The 160 billion-rupee project is being executed by Navi Mumbai International Airport Limited (NMIAL), a Special Purpose Entity formed by the GVK group and City and Industrial Development Corporation (CIDCO) which holds 74 percent and 26 percent equity shares of NMIAL respectively. The airport is an under construction greenfield international airport being built at Ulwe Kopar-Panvel in Maharashtra, India. It will be the second international airport for the Mumbai Metropolitan Region, functioning alongside Chhatrapati Shivaji Maharaj International Airport (CSIA) as India's first urban multi-airport system. The first phase of the airport will be able to handle 10 million passengers per annum. The airport will be expanded to full capacity and will be equipped to handle more than 60 million passengers per annum. The project was first conceived in November 1997 when the Ministry of Civil Aviation (MoCA) constituted a Committee to examine the various sites for a second airport for Mumbai. In July 2008, the Government of Maharashtra granted approval for development of the project on PPP basis and appointed CIDCO as the nodal agency for its implementation. The project received Defence clearance by the Ministry of Defence (MoD) by the end of 2010. Later Prime Minister Narendra Modi unveiled the foundation plaque at the ground breaking ceremony for the Navi Mumbai International airport in Mumbai on 18 February 2018. The Delhi–Mumbai Industrial Corridor Project (DMIC) is a planned industrial development project between India's capital, Delhi and its financial hub, Mumbai. It is one of the world's largest infrastructure projects with an estimated investment of US$90 billion and is planned as a high-tech industrial zone spread across six states, as well as Delhi, the national capital and itself a Union Territory. The investments will be spread across the 1,500 km long Western Dedicated Freight Corridor which will serve as the industrial corridor's transportation backbone. The genesis of the project goes back to China's preparation for the 2008 Beijing Olympics, which triggered a diversion of India's iron ore exports from Japan to China, in order to feed the increased infrastructure requirements for the then upcoming games. Japan, which was importing large quantities of iron ore from India, was negatively affected as it had to maintain a reliable source of iron ore imports to feed its long established industrial sector. Efforts to procure ore from alternate sources in India were logistically difficult and not cost effective. This inspired the then Japanese Ambassador to India, to raise the idea of building an efficient freight corridor along the lines of the Tokyo – Osaka corridor. The Navi Mumbai Metro is a rapid transit system under construction in the Indian city of Navi Mumbai, Maharashtra. The planning and construction of the Navi Mumbai Metro is being overseen by the City and Industrial Development Corporation (CIDCO). The system is planned to consist of three rail lines covering a total distance of 106.4 kilometres (66.1 mi). The foundation stone for the project was laid on 1 May 2011; following construction delays, the metro's first line is projected to open in 2020. The metro's technological infrastructure and rolling stock are being provided by Ansaldo STS, Tata Projects and CSR Zhuzhou.